Water Damage​ :: Law Offices of Geoffrey Gilbert, P.A. Water intrusion into a home or commercial property from a roof leak, plumbing failure, malfunctioning appliance, storms and heavy South Florida rains, hurricanes, and other causes unforeseen and unavoidable or from preventable and negligent acts, can result in interior damage, destroy floors, furniture, and electrical systems, and cause hidden damage under and behind walls, tile and wood flooring, carpets, and kitchen cabinets and bathroom fixtures. 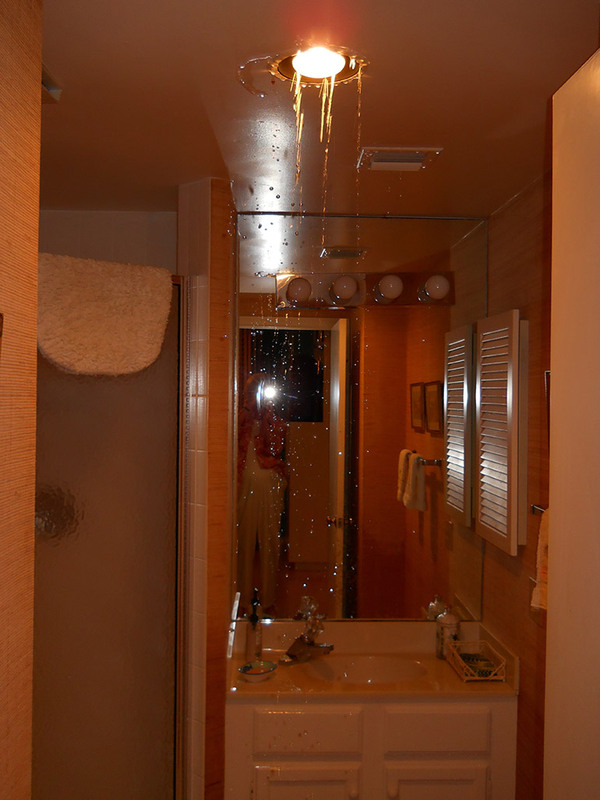 Mold contamination can also result from water infiltration into a residence or business. Failing to examine how far up the water, moisture, vapor, and dampness actually caused damage to interior walls, or likewise failing to inspect how far behind or below or underneath the floors and walls the water travelled to damage your property, will result in under-valuing and a “low-balling” of the amount needed for repairs. Homeowner’s insurance policies and commercial property insurance should cover water damage. However, claims related to water damage are often minimized, wrongfully denied for lack of evidence, or denied under exclusions to the insurance policy that are erroneously applied. The extent of the water damage, its causes, and costs for restoration and remediation are contested in these disputes. If your residence or business has suffered water damage, it is best to have an attorney representing your interests. The Law Offices of Geoffrey Gilbert, P.A. are Florida insurance attorneys for water damage related claims. We would be pleased to consult with you about your water damage insurance matter, and invite you to contact us to set up a case evaluation at no charge.